FILE PHOTO - A smelter places an ingot of 92. 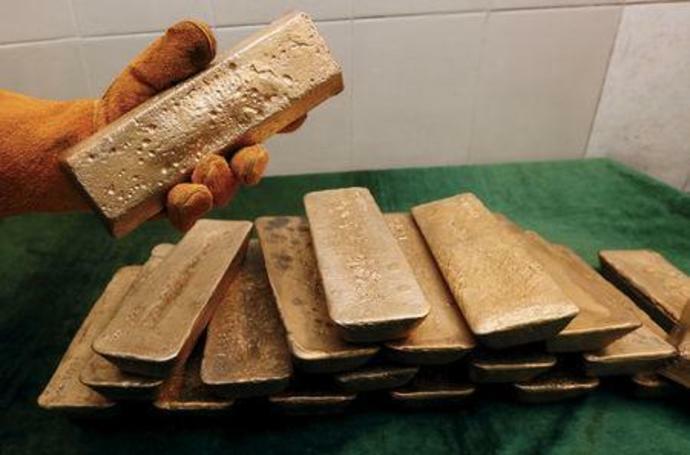 (Reuters) - Gold prices held firm on Monday, supported by worries over a slowdown in global economic growth and uncertainties around Sino-U.S. trade war, but a strong dollar limited the safe-haven metal's appeal. Spot silver dropped 0.2 percent to $15.79, while platinum was down 0.5 percent at $794.